Businesses have long used posters to advertise their products. But now, posters are made better by NFC technology. Imagine potential customers simply tapping the poster with an NFC-enabled device to share it on social media or request more info. Using NFC-enabled “smart posters” helps build customer awareness, emotional engagement with the product and a stronger call to action. And of course, more conversions and better return-on-investment (ROI). 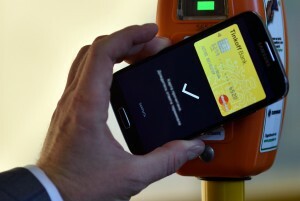 Creating a poster with NFC-enabled tags is less costly than you might expect. In fact, the cost isn’t much different from that of traditional posters. It’s affordable even for small businesses. The hardware is effective but simple and relatively cheap, and regardless of how many posters your company puts up, the software only needs to be programmed once. Posters have a limited space for textual information (to be more specific, text cannot exceed 40% of the poster’s surface). While images and illustrations are there to support the text, in reality, they are most of what the customer notices. The text ends up being little more than a slogan and call-to-action. 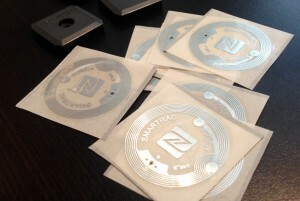 NFC technology helps advertisers get more information to consumers. 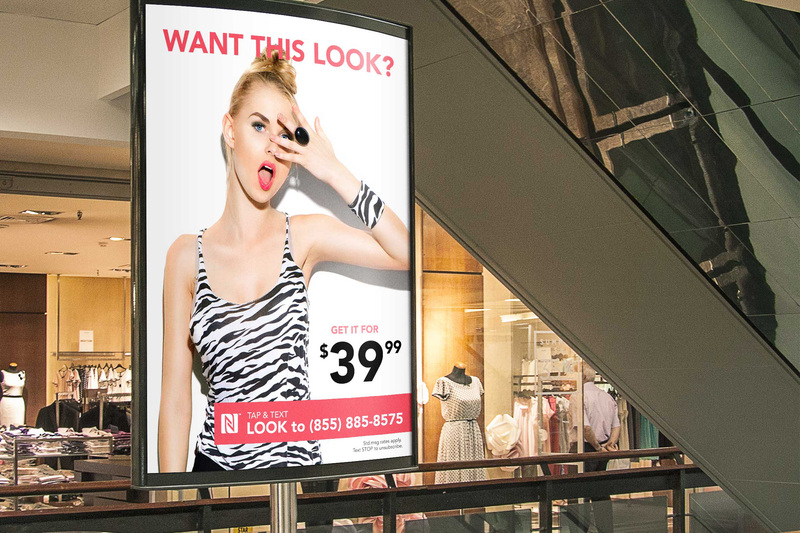 All the consumer does is tap the poster with an NFC-enabled device – be it a smartphone, tablet or another device – and they can instantly pull up all of the info your company has provided. That’s maximizing impact while minimizing ad space! NFL smart posters offer a great opportunity for advertisers to expand info on a limited-space poster, but it’s even more important that the information is customizable. A smart poster is similar to a website in that customers can choose which information they want to access. For example, an NFC-enabled poster can offer different options, giving customers more choices and allowing marketers to target information to meet the needs of a particular segment. Most advertisers face a constant struggle in measuring the effectiveness and ROI of a particular campaign. A traditional poster simply can’t provide that information. But don’t fear, because NFC is here. The poster can record information about the customer’s interaction such as the location of the poster (considering that there could be tens or hundreds across the geographic location), what info they asked for and whether they converted after interacting. It also allows you to follow-up by sending additional information or SMS marketing materials. 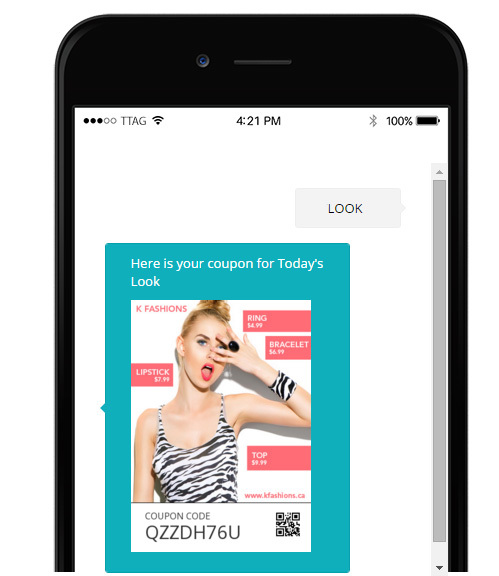 It’s fairly easy to integrate NFC technology with SMS and voice components, meaning that your company’s smart poster can be a jump-off point for engaging with customers via calls and texts. For example, potential customers who touch the poster with a mobile device can automatically receive info from you via SMS as well as opt-in to receive additional marketing communications. This integration makes possible an unlimited number of opportunities for marketers to engage with consumers. Investing in one relatively inexpensive NFC-enabled smart poster can help you win long-term business!